How can I reuse or recycle old photographic slides? | How can I recycle this? How can I reuse or recycle old photographic slides? Do you have any suggestions on how I can recycle 35mm slides in wallets? I suspect that on a crafty level, they could be used in similar ways to photo negatives and the like but as Karen is a Environment & Waste Management Officer at a university, I suspect she might have more than can easily be reused – so does anyone know if there are any ways to actually recycle them? Any other slide-centric reuse suggestions? If anyone has any slides or old photograhs that they would like to send me, I’ll pay shipping. My email is loraofthelou@hotmail.com. I love to use for projects! I have a document box full of old slides (professional photographer) from industrial/commercial shows. I’m in Falls Church, VA. I was on the verge of taking them to the landfill, but I’ll hold on to them awaiting your reply. I’ll take ’em. What do you think shipping would be and do you have paypal to pay for the shipping? Lora, I may have quite a lot of things for you, but I’d be interested in knowing what sorts of projects you do? soph_mini@yahoo.com. Thanks! Hi Paul, thanks but I wouldn’t need quite that many. Just don’t want people to throw them away. Have a good one! I have 300+ slides I like someone to have, can you still use them? Please contact me and put Old Slides in the subject. Are you still interested in old slides? I have some, mainly from Europe. Let me know if you are interested and how I could get them to you. Hello- my father recently passed away and was an avid photographer. We are having an auction in mid July to sell most everything. My father had approx. 14,000 slides, 35 mm, stored in the round carousel projection trays. Each tray holds 140 slides. These are mostly vacation pictures, some family shots. Can you use these for your repourposing projects. Please let me know, otherewise, they will be destroyed. Many thanks for posting your request. I’d be very interested in your slides please. I do some crafts and could use them for clocks,that I make. Would pay for post & packing.I’m in Derbyshire, England. We have a few boxes 35mm slides from my mother in law. Most of the photos are from france and africa. Do you want them? hello ann! are these still available? i would be very interested. whats your email? Still have slides you would like to get rid of? Thanx. 941-592-4149 is my contact number. I have hundreds of travel slides that I would like to recycle. Anyone still looking for 35mm slides? I found many slides in grandparents cupboard – 100s. First batch (approx 200) is of flowers and birds. Don’t know what the others are yet. I’m in Perth Australia, but I’m sure the post can deliver anywhere! I can take slides off your hands! If you serious you can mail them to me. reply and we’ll figure a way to exchange information. I have some slides. Please contact me at above and put “old slides” in subject line. I just came across this site and noticed many of you want to get rid of your slides. I will be HAPPY to take them off your hands. I can pay shipping if you would like through Paypal. Please contact me if you still have some to get rid of! I have a boxful of travel slides (commercially made)–no family pics. They are in trays. My husband has a PayPal account I could provide for payment of the shipping. Please let me know if you would like them. hello. are these still available? im interested. whats your email? We have boxes and boxes of travel slides from the 1950’s that we would like to dispose of and/or donate. Can I ask what you use them for? I would love em, I make lamps cool art stuff. U could mail em Media Mail (way cheap) I will mail u check back ASAP. I’d love to use your slides for creating unique clocks. I could make one for you using one of your slides. I could pay postage via paypal. I have inherited 100s of slides relating to geology and geography you are welcome to them if you want them. I’m in Derbyshire . I have hundreds if not thousands of dental slides oral medicine/oral surgery slides. Have fully retired and do not need. Local dental school does not want. At least 10 to 12 full one and a half inch binders. Do not wish to just dump in the trash or light on fire!! Hi David! Where are you located? I make lamps and I could make for my dentist! U can mail em Media Mail ( way cheap) and I will mail u a check. Please contact me and put Old Slides in subject area. If you are interested l have half a suit case full of slides in slide boxes (Don’t know what you call them) They are family holidays. I am in Victoria Australia. Lemme know if you are interested. I can make good use of them if you’re interested. I use them in art projects (inc. working with students etc.) & also i’m heavily involved with nature recording (photography & sound) so would be interested in getting them scanned & preserved. My family has thousands of slides we are getting rid of. You interested? My father loved to take pics of nature. I would be interested to hear from anyone who wishes to dispose of any sort of old photographs or not so old photographs. I would pay postage costs via paypal,I’m in UK. Please contact me and put Old slides in subject line. I will take any and all slides anyone has! U can mail them Media Mail (way cheap) and I will mail u postage back. Thanks to all who have sent me some. Do you need both slides and negatives? Are you still interested in old slides and negatives. I am moving, and have a lot, mostly from European trips, that I do not want to take with me. Yes I’m interested in any Slides you have on offer. I am in England and will pay postage & packaging for them. Do you still need the slides. I have old slides. In answer to your question, yes,I am still interested in receiving old photographic slides. I am located in the U.K. I have had many people from here contact me asking if I wanted slides and I resonded YES! But after the initial contact I have not heard back from anyone… If you are wanting to unload some, please let me know! I have about 15 kilos worth of slides. I can pay for the shipping if someone is interested in having them. Yes I will take all slides, I make lamps & things out of em. 48 W. Arcade St. Stockton, Ca 95204. Are you still collecting old slides? Will you pay for shipping from the Bay Area? We are downsizing. 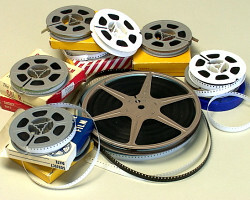 Thirteen boxes of slides in round plastic containers used in showing films. Will you be able to use them? If so, let me know and after I look them over to make sure I have all photos of family, I will ship them to you. Content is film of European countries. I would like to dispose of my slides. I have at least 800 slides. Where can I dispose of them in Gainesville Fl? I will send u a check back ASAP. No trays just dump in box. U can donate trays to thrift stores. I would be interested to hear from you if you wish to dispose of any sort of old photographs or not so old photographs. I would of course pay postage costs if you are within the U.K.
Are you still collecting old slides?? Please would people give me details of what they actually use old slides for? I’ve been offered some (relating to work) and would love to use them, preferably for simple kids’ activities with a nature-related theme. I have become the family history storage holder and wondered if anyone wants old slides? I have so many! Are you still interested in slides? We have hundreds of my fathers old vacation slide. Not sure if you folks have slides still but I am willing to take them on. Just started collecting them and of course now I’m obsessed. I have 1,000’s of my father’s slides. He was a botanist , so lots of photos of flowers. Also many photos of trips in America, Jamaica, Russia Photos taken in the 50’s to 70’s. He was a good photographer and I’d hate to bin them. Are you still interested? Have just started collecting slides from thrift stores auction, where ever I can find them. I love looking through all the different places and people. If folks are looking to get rid of there old slides I am willing to help out. still interested in slides? What do you do with them? I have about 30 carousel’s of travel slides from my parents. Hi. Email me. Put Old Slides in subject line. Please write to me- I have lots of old slides! Need to get them out of my house and hope it is not to a landfill. Put “Old Slides” in the Subject line, please. I have many slides which an old friend has taken over the years and who has sadly recently passed on. They are mixed holiday/general slides. Are you still interested in collecting them please? I’d love you to gift them to me,please. I would pay the postage & package costs, if your able to post them to me. I have thousands of slides from an Aunt and Uncle who were professional photographers. Glass encased teaching slides as well as pics from the early space program and 1960 democratic convention. Free to anyone who pays the shipping. Do you still have your Aunt & Uncles Slides? I’d pay P&P for them. I have many slides to give you if you want them. Have been posting and posting and am ready to put them in our paper recycling if I do not hear back from someone out there. I do not want them to end up in a landfill! Sarah, this means you- and everyone else who has a hankering for old slides! Please, please get back to me. Haven’t been checking for answers recently. Just found your reply, thanks. yes, all the slides are here gathering dust!! Any ideas re. collecting them etc? If so, can you contact me on my email address direct instead of via this site please? Regards Roger. Just found this great site via another topic on here. Anyway, I’d be interested in any old slides that people have and want to pass on. I’d pay for P&P to get them to my home. Unless you live in Derby/Derbyshire area. Have slides, will send. Willing to share postage as I am in the US; big fan of re-use. How do I contact you? I’m still interested in any slides that people have to gift me. Will pay the costs of postage/package, can arrange this via email. Do you pay anything for old slides? Yes I’d love to have your old slides that you don’t want. I can pay for the postage as you willing to pass them on to me. Would use them for projects and show what I’ve done with them. I would be interested to hear from you if you wish to dispose of any sort of old photographs. I would of course pay postage costs if you are within the U.K. I look forward to hearing from you. I wrote to as many of you as I could but did not hear back from anyone. So here is what I am doing: A few times a week, while watching the news or something that does not require intense concentration, I get a bunch of slides, pop out the film with my thumbs, throw the cardboard into recycling bin, and throw the film in the trash. Call me crazy but to me it is better than throwing the whole thing in the landfill. When I had earlier called our recycling place, they said that they could not accept them with the film in, which is why I chose to do it the way I did. Have professional travel slides from many places in the world that my great aunt collected on travels in the 1950-1970s. Have no use for these and would be happy to give to someone who can use them as it seems a shame to throw in the trash! I’d be happy to give them a new home an lease of life. Will pay post & package to you if you will gift them to me,please. I have just found about 50-70 slides (the plastic ones you put in projectors) from my days at art school and from working in a photography gallery. I don’t want them anymore and would be happy to give them to someone who can use them as it seems a shame to throw in the trash! Let me know if they can be recycled for any art projects etc I’m based up near Manchester if anyone is local. I’d love to be gifted them,as I do a bit of photography myself. It is great to see what other people have taken.I’m thinking of setting up a website of other peoples work just to let the wider world see them. I will pay post & package to you, if you will gift them to me,please. I have 100s of slides from travels that I have converted to photos that I needed to do my story. I am not on any Facebook etc. I just work with email. Please reply by email if you can use my slides. I have them packed and will pay the shipping. Thank you waiting to hear from someone for I am moving. I’d love the slides if you still have them to gift. I can send you the cost of the package & postage. I have about 200 slides I can send to whomever wants them. Please let me know what to do. I would love old slides so I can use them for a few projects. Do you still have them? Hi, all. I solved my slide problem by sitting with a pile every few evenings during the news, punching out the film, and tossing the cardboard into the paper recycling. It went much faster than I expected. Threw the film into the trash. Shame on me. Email me at cenglese@gmail.com if you have slides that you don’t want. I’ll use them. Thanks so much. I see that there are still a few people on here,wanting to pass on old slides. I have several hundred slides my father took of our vacations in the USA. I now live in the UK. Does anyone want all/some of the slides? Reply with Slides in the subject line. I can use them for art projects with young artists ! let me know how to proceed. thanks ! I’d love to have your father’s slides, please. Would use them for alsorts of things, like cards, clock faces or just for the quality of the photo’s. Or anything that I’m sure your father would be proud of. Would also acknowledge that your father took them. Thanks for your posting about slides. I would like to take your slides for recycling. I would also pay the postage as you say you are resident in the U.K. I have about 90 slides for anyone interested. They apparently were used for art education. Broad titles are ” Misc. 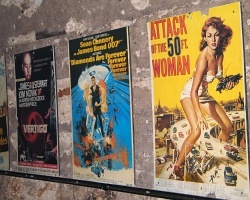 Social Commentary:,”Kathy Kollwitz”, “Judy Chicago”, “Guermica”, “Barbara Kruger”. If you are interested, please email me with Art Slides in the subject line. 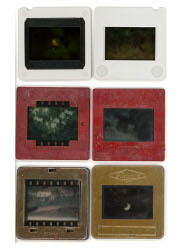 Hi JennB – I could really use those as I work with students on art projects including using old slides in new ways. Couldn’t find your email address. I have a bag slides, mostly travel related. If you pay shipping, they are yours. Let me know. Yes I’d love to have anyones old slides that they don’t want. I can pay for the postage as I think thats only fair for you passing them on to me. contact: wood365@yahoo.co.uk if that’s better. I’m in search of the ever-elusive photographic slides. My boyfriend and I recently purchased an old fixer-upper film projector and want to put it to use! So if you have any old slides lying around we would love to hear from you. We would happily pay postage and are open to discuss a fair price that works for us all. Looking forward to hearing from you! Hallo Caitlin- I just left a message about a large collection of my dad;s slides- we are in London- any good? Does anyone still want old slides? I’ve got about 2500. How about reels of 8 mm film? I’m in Canada. I’m interested in your old slides. I can pay the postage if you pack them. However, I’m in England so don’t know what the cost will be. Please, get back to me. Hallo Kevin- I have a wondeful collection from my late father. nature and a mix of other things. We are in London- any good? Thanks Kevin. I’ll check with the post office and let you know. Anyone interested in about 8,000 slides from late 1950s – 1980s? Family trips, holidays, Europe, 1965 World’s Fair in NYC, etc. 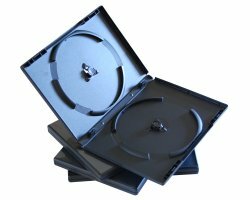 They are in slide trays or 30 -40 each, and the trays are in boxes designed for slide trays. I would like to see them repurposed before I finally have to dump them. Hope to hear from somebody!